It won’t be long before the James Webb Space Telescope is launched, an enormous and complex feat of engineering — but all one piece. 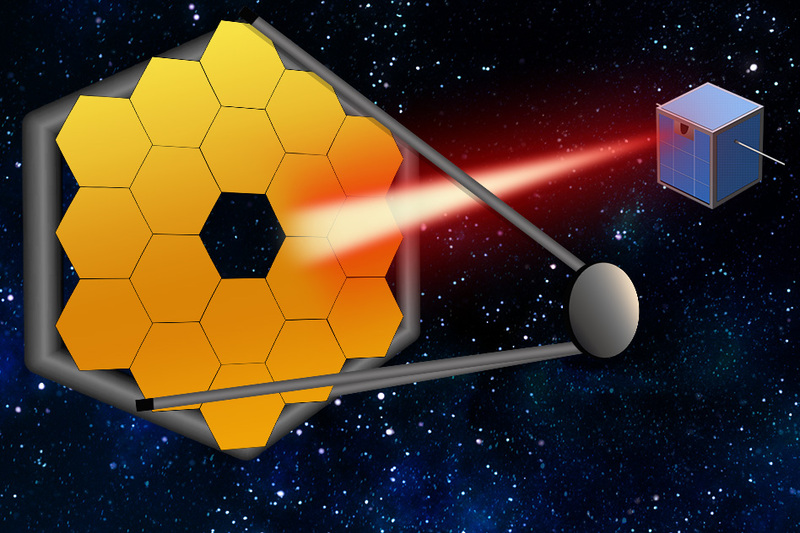 That’s a good thing for now, but new research suggests that in the near future giant telescopes like the Webb might be replaced (or at least augmented) by swarms of tiny spacecraft working in concert. One advance, from Ben-Gurion University in Israel, is a leap in the capabilities of what are called synthetic aperture systems. It’s a technique where a single small camera moves across a space, capturing images as it goes, and by very careful analysis of the data it collects, it can produce imagery like that created by a much larger camera — essentially synthesizing a bigger aperture. As documented in a paper published today in Optica, the team leapfrogs existing methods in an interesting way. 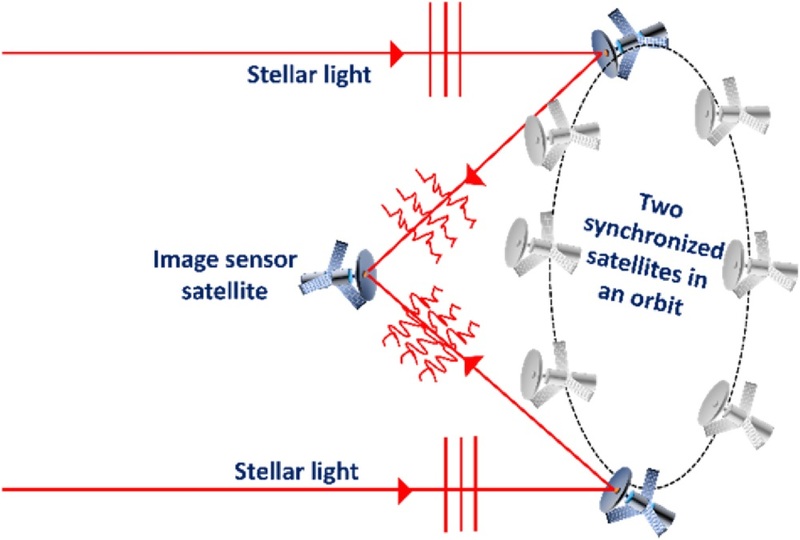 Two satellites move in synchrony around the edge of a circle, collecting data as they go and beaming it to a third stationary one; this circle describes the synthetic aperture the two cameras are creating. In other words, they were basically able to get the results of a camera 50 times the size. That would be impressive anywhere, but up in space it’s especially important. Putting something as huge and complex as the Webb into orbit is an incredibly complicated and drawn out endeavor. And it’s putting a lot of eggs in one (very carefully checked and rechecked) basket. But if you could instead use a handful of satellites working together, and just replace one if it fails, that really opens up the field. “We can slash the huge cost, time and material needed for gigantic traditional optical space telescopes with large curved mirrors,” Bulbul said. One of the challenges of space telescopes, however, is that they need to take measurements with extreme precision. And keeping a satellite perfectly still is hard enough, to say nothing of having it move perfectly to within fractions of a millimeter. To keep on track, right now many satellites use reliable fixed sources of light, like bright stars, as reference points when calculating various things relating to their operations. Some astronomers have even used lasers to excite a point high in the atmosphere to provide a sort of artificial star for these systems to use. These methods both have their strengths and weaknesses, but MIT researchers think they’ve found a more permanent, high-precision solution: a “guide star” satellite that would sit thousands of miles out and train a strong laser on the Earth and its orbital region. This light source would be reliable, steady and highly visible; satellites could use it to calculate their position and the minute changes to their imaging apparatus caused by heat and radiation, perhaps to a degree not possible with actual stars or atmospheric dots. Both these intriguing technologies are still very much in the lab, but theory is where all big advances start, and it could be that in a few years, swarms of satellites will be sent into space not to provide terrestrial communications, but to create a massive synthetic telescope looking out on the universe.